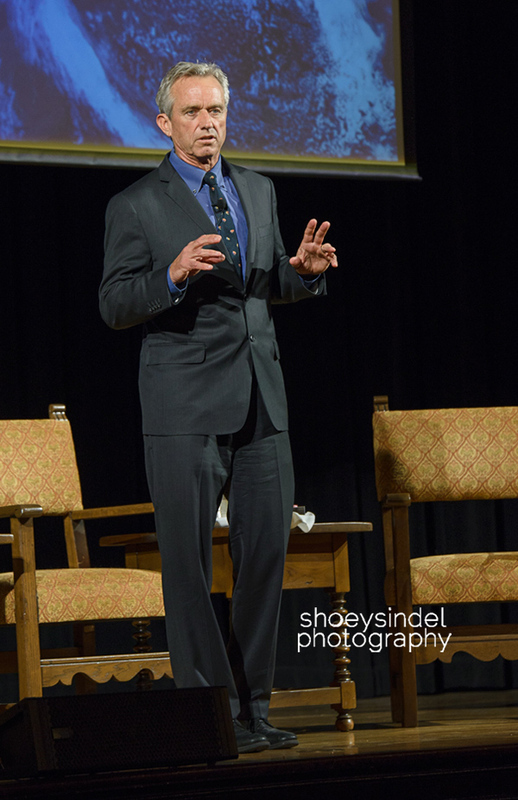 Robert F Kennedy, Jr was the recent speaker for the Horace Albright Lecture sponsored by UC Berkeley’s College of Natural Resources and Berkeley Law School. I was thrilled to be the official photographer. Robert Kennedy Jr is an environmental lawyer, Chief Prosecuting Attorney and Vice Chair for Riverkeeper and Senior Attorney for the Waterkeeper Alliance. He also serves as Clinical Professor and Supervising Attorney at Pace University Law School’s Environmental Litigation Clinic and Senior Attorney for the Natural Resources Defense Council. During his talk, he spoke passionately of using the laws to protect and restore our polluted waterways by bringing suit against some of the biggest polluters–Exxon-Mobil, GE, the City of New York, etc. The Waterkeeper Alliance has almost 300 organizations and affiliates worldwide working to enhance our waters for the use and enjoyment for humans, fish and the rest of the environment. A citizen-led grassroots advocacy combination of surfers, fishers, boaters and others who have intimate contact with the water as waterkeepers work with attorneys to force polluters to pay for and correct their environmental damage on the public’s waterways. It was an inspirational evening attended by many notable environmental, legal, scientific and policy faculty, scholars and local celebrities. I am proud to be part of the UC Berkeley CNR Alumni community. If you are interested in watching the lecture, go to: nature.berkeley.edu/Albright.